Thus after decades of subterfuge, manipulation, and one extreme weather “experiment” after another in full view of nations whose citizens no longer believed in their own perceptions but instead sought media weather interpretations—as I write, Hurricanes Matthew and tropical storm Nicole are making profits for disaster capitalists along the Florida-Georgia-Carolinas Atlantic coast—came the globalist move to subject nations to the will of the U.S.-controlled United Nations, now that a dependable weather weapon was at last at hand. On Earth Day 2016, the United Nations Framework Convention on Climate Change climate agreement was signed. It had been hammered out over the course of multiple conferences culminating in the COP21 in Paris November 30-December 11, 2015. The 2011 UN Climate Change Conference (COP17) in Durban, South Africa had attempted to include an International Tribunal of Climate Justice provision,  but by COP21, it had disappeared. It was all quite the show. Climate mouthpieces were carefully chosen—the IPCC, geoengineers David Keith and Ken Caldeira, prestigious universities, embedded NGOs, government agencies, the World Bank and IMF, and of course the usual Wall Street-London deep pockets. Scriptwriters worked overtime on the fate of the Earth as cameras panned in on lightning flashes, rolling storms, deluges and droughts, crying babies, hospital emergency rooms filled to overflowing … The UN was to be tasked with vast new tax and regulatory powers in the name of keeping global warming below 2°C. finance industry. 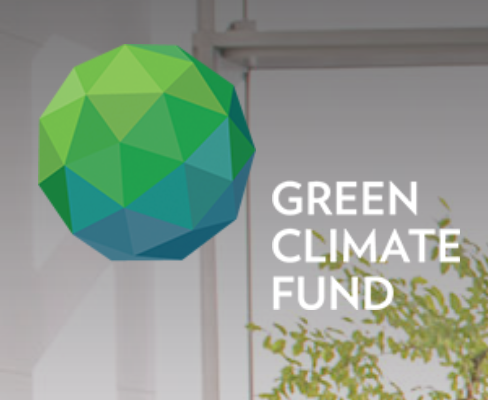 The UN Green Climate Fund alone will clear $100 billion per year, purportedly to support concrete carbons mitigation in developing countries. Should we take bets on if the money will ever make it to the developing countries after being filtered through multilateral and private banks like World Bank and Deutsche Bank? After all, the naked emperor is not known for keeping his promises. We are a long way from President Kennedy’s Space Age dreams and resolution to put an end to chemical polluters and the destruction of soil and biodiversity. Now, the U.S. Secretary of Defense Ashton B. Carter has a doctorate in physics from Oxford University, and with the stroke of a presidential pen on Thanksgiving 2015, the U.S. Commercial Space Launch Competitiveness Act (HR2262) a/k/a Space Act of 2015 thumbs its nose at the Outer Space Treaty of 1967, erasing whatever fleeting separation was left between the military and corporations bent on making profits from space-based mining of asteroids and the helium-3 isotope on the Moon. Translated out of double-speak, does “protect human health” mean vaccinations for all, and “level the playing field” the death of the middle class? To sustain something is to make it last with dependable support systems. 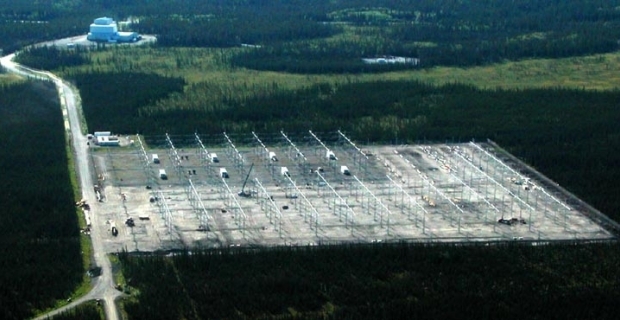 Is the Leaders Statement alluding to the SSS (Space Surveillance System) Space Fence constructed and operated by North American and NATO interests—a great surveillance machine with many parts that altogether provide real full spectrum dominance not just of weather and the near-earth environment but of planet Earth and its inhabitants in their entirety for generations? It is a near-impossible task to describe the resurrected Strategic Defense Initiative (SDI) “Star Wars” Space Fence in our atmosphere now transformed into a wireless antenna in order to “master the Human Domain,” but we must prepare for the lockdown Space Age now built around us in the air and on the Earth, which is why I wrote Under An Ionized Sky: From Chemtrails to Space Fence Lockdown. 1. The Joint Intelligence Objectives Agency (JIOA) circumvented then-President Truman’s anti-Nazi order and scrubbed Nazi affiliations, then granted them new identities and security clearances. 2. Col. Tamzy J. House et al. “Weather as a Force Multiplier: Owning the Weather in 2025,” August 1996. “2025 is a study designed to comply with a directive from the chief of staff of the Air Force to examine the concepts, capabilities, and technologies the United States will require to remain the dominant air and space force in the future. 3. These categories were first made public by independent scientist Clifford Carnicom, carnicominstitute.org. 4. Robert E. Morrison, Specialist in Earth Sciences, Science Policy Research Division, Congressional Research Service, “Chapter 5: Federal Activities in Weather Modification.” Weather Modification: Programs, Problems, Policy, and Potential. U.S. Senate Committee on Commerce, Science, and Transportation, November 15, 1978. 5. P. Gosselin, “Atmospheric CO2 Concentrations At 400 PPM Are Still Dangerously Low For Life On Earth.”NoTricksZone, 17 May 2013. 6. “Deserts ‘greening’ from rising CO2.” Commonwealth Scientific and Industrial Research Organization (CSIRO), 3 July 2013. 7. Juliet Eilperin, “Geoengineering sparks international ban, first-ever congressional report.” Washington Post, October 29, 2010. 8. Rady Ananda, “Solar Radiation Management, Geoengineering and Chemtrails.” Global Research, November 5, 2013. 9. “Chemtrails Confirmed: Climate Scientist Admits Jets Are ‘Dumping Aerosols.’” Chemtrailsplanet.net, January 9, 2015. 10. “NASA Scientist Admits ‘Chemtrails’ Are Real.” Chemtrailsplanet.net, March 11, 2016. 11. Christina Sarich, “Italian Senator Calls for Declassification of Chemtrail Documents.” Naturalsociety.com, April 15, 2014. 12. “Minister pledges probe into chemtrails,” Cyprus-mail.com, February 17, 2016. 13. J.D. Heyes, “NOAA quietly revises website after getting caught in global warming lie, admitting 1936 was hotter than 2012.” Naturalnews.com, July 1, 2014. 14. David Lewis, “EPA’s disturbing leadership.” The Oconee Enterprise, May 12, 2016. 15. Alan Levin, “NTSB: Ted Stevens’ plane crash remains a mystery.” USA Today, May 24, 2011. 16. Ari Phillips, “Canadian Government Dismantles Ecological Libraries After Dismissing Thousands of Scientists.”Climate Progress, January 10, 2014. 18. Sarah Malm, “UN planning an ‘international tribunal of climate justice’ which would allow nations to take developed countries to court.” Daily Mail, 2 November 2015. 19. Liz Ford, “Global goals received with rapture in New York – now comes the hard part.” The Guardian, 25 September 2015. 20. “The Netherlands takes over meteorology for the NATO Response Force.” SHAPE (Supreme Headquarters Allied Powers Europe) press release, 13 January 2016. 21. 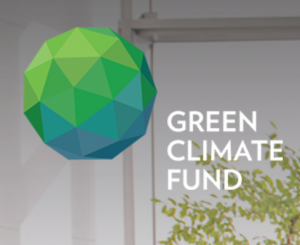 Jocelyn Timperley, “Academics call for geoengineering preparation in wake of Paris Agreement’s ‘deadly flaws.’”BusinessGreen, 11 January 2016. 22. James Corbett, “And Now For The 100 Trillion Dollar Bankster Climate Swindle …” The Corbett Report, February 24, 2016. 23. Jacob Levich, “The Real Agenda of the Gates Foundation.” Aspects of India’s Economy, No. 57, May 2014. 24. Paul Harris, “They’re called the Good Club – and they want to save the world.” The Guardian, 30 May 2009. 25. William J. Broad, “Billionaires With Big Ideas Are Privatizing American Science.” New York Times, March 15, 2014. 26. Daniel Barker, “Nations are now using weather modification as clandestine warfare, CIA warns.” NaturalNews.com, December 19, 2015. 27. Charles Eisenstein, “The Need For Venture Science.” Huntington Post, August 27, 2015. 29. Sean Adl-Tabatabai, “Nearly All Scientific Papers Controlled By Same Six Corporations.” YourNewsWire.com, July 20, 2015. 30. Mark J. Harper, “Dead Scientists and Microbiologists – Master List,” February 5, 2005,http://rense.com/general62/list.htm. 31. Erin Elizabeth, “A Connection with the Holistic Doctor Deaths?” HealthNutNews.com, February 1, 2016. 32. Amy Chozick et al., “Leaked Speech Excerpts Show a Hillary Clinton at Ease With Wall Street.” New York Times,October 7, 2016. 33. Patrick Wood, “NAU Reborn As ‘North American Climate, Clean Energy and Environment Partnership’.”Technocracy News, June 30, 2016.